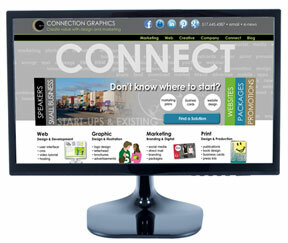 Have You Looked at Your Company Website Lately? I confess there are times when customers call and say; “I’m on your website and I want a logo design similar to the second one on your logos page”. Meanwhile, I frantically call up the website to see what this fabulous number two logo is that they love so much. Truth is everyone should visit their website regularly and your website should be updated regularly. Software, browsers and web code updates can effect your site functionality..
Business changes, updates on policies, expansion, staff, etc. To help you keep your website current and functioning Connection Group is creating three annual Website Maintenance Plans for 2015. For companies who want monthly updates throughout the year. Plans will be based on average time spent at a reduced hourly rate. Maybe it’s a code glitch, or maybe you want to add new photo slides to update your home page, or you need to add blogs or new staff emails, social media files etc. Whatever the cause or plan a maintenance plan can help you without worrying about breaking your budget. Many of you have hired us to create economical WordPress websites that you can update yourselves. (The latest ones are responsive – they look fab on smart phones, tablets and desktops!). Some of you actually find the time to update your WordPress sites — until we hear from you that you broke something! Not really, typically a fix by us can correct what went wrong. Our maintenance plans will cover these too. You’re not going to be paying for your website all over again with emergency fixes or because you want to add more features. We will be sending more information in December with a link to the plans on the website. Plan to get us on retainer for 2015, keep your site current and alleviate the stress of troubleshooting your messes. 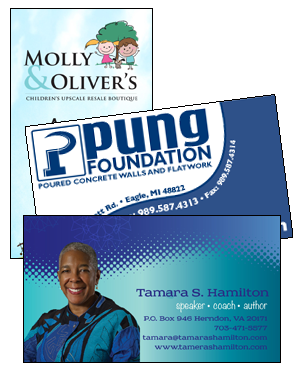 Still the cheapest form of advertising, business cards are the first step to demonstrating what your brand message is. Are you high quality, professional, stylish? or are you unclear, hard to read, and flimsy? Step it up. 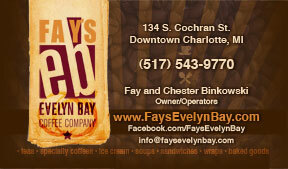 Leave customers and prospects a memorable card that brings you first to mind when they need your services.